Michael Jackson was not only a innovator through music but also in fashion. His style always set a new trend for all those that loved and followed him. From the jacket in Thriller to the sequined gloves and socks we all wanted a piece of the MJ style. I have selected some items that embody the style and persona of "THE KING OF POP". He will be truly missed. 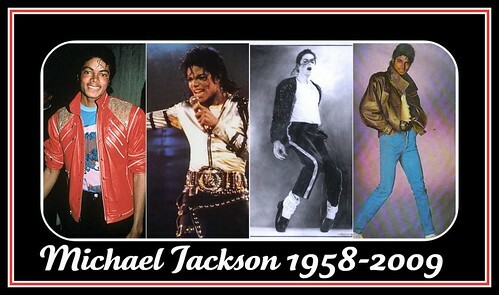 Tell me your favorite Michael Jackson style or memory? You're right. It's so awful. About his death. I was just watching a show where all his iconic songs were playing and then I watched the memorial service. His kids were crying and it was so unbelievably sad. And yes, he was a fashion icon. Wearing shoulder pads DEFINED him.